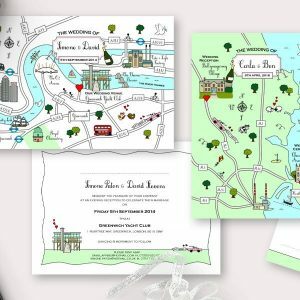 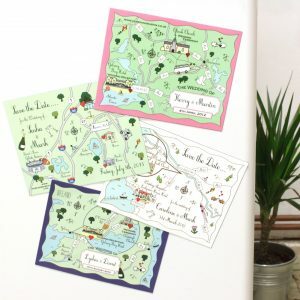 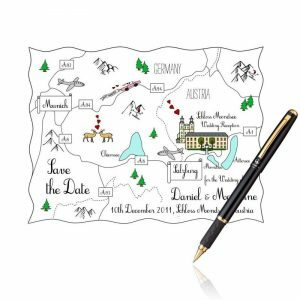 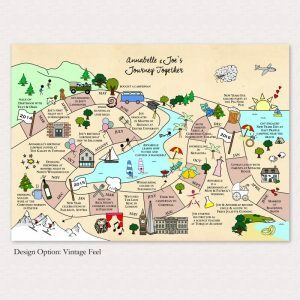 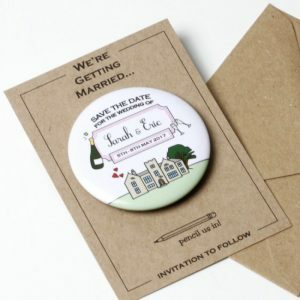 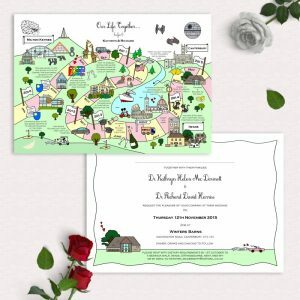 Cute Maps can be sent as Save the Date postcards, Invitations or Invitation Inserts. 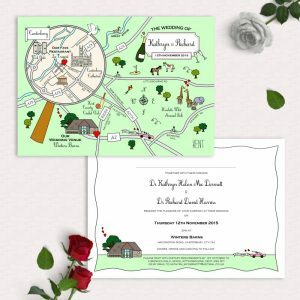 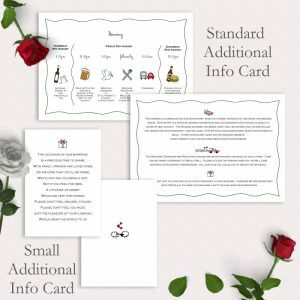 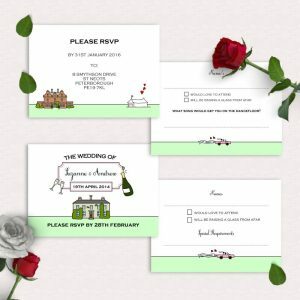 Our collection ranges from full stationery suites to simple postcards so there’s something to suit all tastes and budgets. 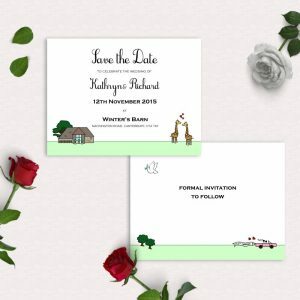 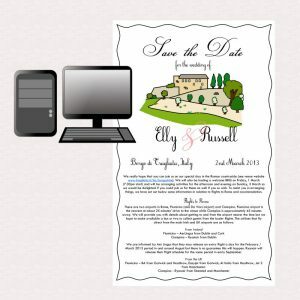 We are able to tie in colours and fonts to match your design schemes or take a look at our gallery for an idea on fonts that work well with this cute style. 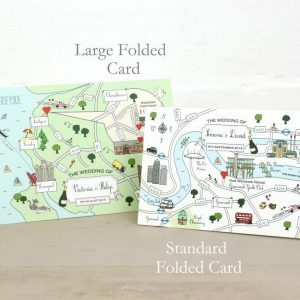 Free UK Delivery for orders £50 and over. 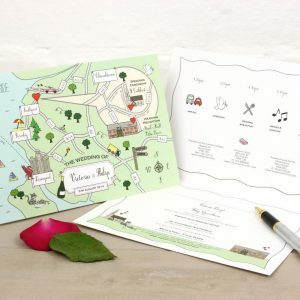 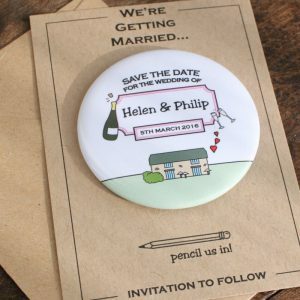 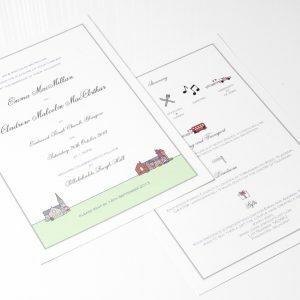 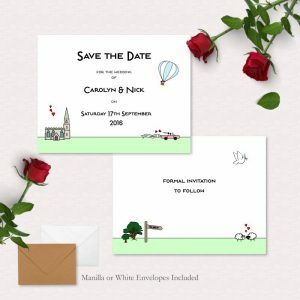 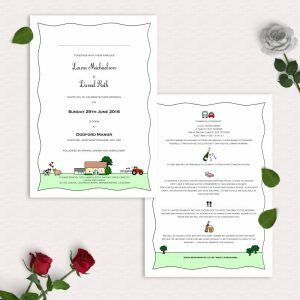 Pre Buy and Save up to 20% with our Wedding Stationery Bundles here.